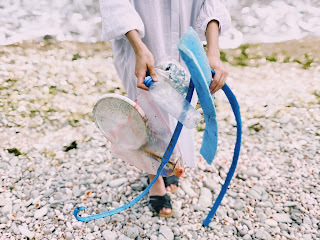 Plastic Pollution: An area that we should urgently address today! Plastics started out being an environmental saviour to Society. In just 150 years plastics came to be reviled as a major environmental pollutant. 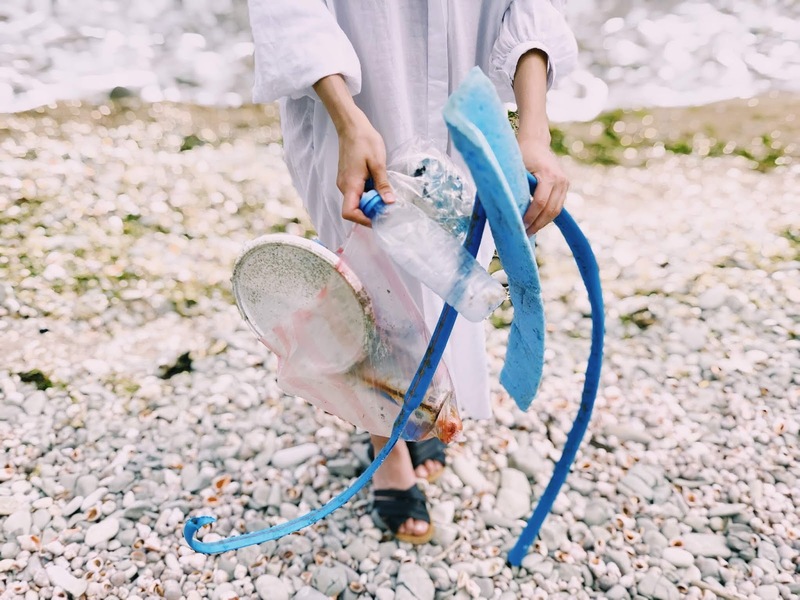 While plastic articles are currently what concern people, micro plastics which are fibres shed by synthetic clothing are one of the newer threats to our waterways. Today, there is a lot of good research being done on developing biodegradable plastic-like substitutes. In India, various are tackling the problem in different ways. In Mumbai plastic bags have been banned in the retail trade. This unfortunately discriminates against the small trader but allows large manufacturers to indiscriminately wrap their wares in plastic. In July 2018, Tamil Nadu declared that most uses of plastic (except for the packaging of milk and oil would be verboten as of August 15th, 2019. In Kerala, thin plastic bags that are unlikely to be reused have been banned and all plastic bags proscribed in and around the popular pilgrimage spot of Sabarimala. - Reuse and repair items to keep them out of landfills and do all we can to remove or re-purpose plastics from our environment. - Stick with clothing made from natural fibres like cotton or silk. Synthetic clothing when washed releases microfibers into the land and ocean which are gradually suffocating both our lands and waterways. - We should get into the habit of carrying our own water bottle (much of the plastic waste around us consists of beverage bottles. This has the added advantage of not having to purchase bottled water. Carrying our own water saves us money and discourages the privatization and sale of water resources (which belong to all). Natural Origins: It all began with honorable intentions all round. Plastic originally just meant “pliable.” John Wesley Hyatt in 1869 is with developing the first plastic material as a substitute for ivory which was previously used to make billiard balls. He treated cellulose derived from cotton with camphor and discovered a material that could be easily shaped. Originally plastics were seen as protecting nature because it was a substitute for many natural materials that were in short supply. Plastics are polymers, similar to cellulose that makes up the cell walls in plants, and the proteins that make up our muscles and skin and also the long strands of DNA. Plant cellulose was used as raw material for the earliest plastics. In 1907 Leo Baekeland invented Bakelite, the first fully synthetic plastic. It contained no molecules that could be found in nature. Today's modern plastics are mostly made of hydrocarbon molecules which are derived from the refining of oil and natural gas. Polyethylene is the most commonly found plastic. The versatility of plastic has ensured its’ presence in our lives at all levels. We use plastics right from packing food to tethering an astronaut during a walk in space. The possibilities of mass production and cheaper prices of plastic products have influenced our culture and outlook on life. We need to be more mindful about the manner in which we use and reuse our resources. Out of the one million plastic bottles that are bought every minute around the globe, only nine percent of these are recycled. The rest join the eight million metric tonnes of plastic that ends up in our oceans every year. In 1950, with a world population of 2.5 billion, the production of plastic was 1.5 million tons. In 2016, over 30 million tonnes of plastic was produced to cater to a global population of more than 7 billion people. We expect this to double by 2034. Plastic does not degrade and around 97% of all the plastics made till date still exists. As a result, over 100 million marine creatures are killed each year by the plastic debris in the oceans. All sea turtle species, a growing list of fish species, 44% of all sea bird species and 22% of cetaceans have been documented with plastic in or around their bodies. Some 90% of all the trash floating on the ocean surface is plastic. The great Pacific Garbage Patch located in the North Pacific Gyre off the California coast, is the largest ocean garbage site in the world. This floating mass of plastic which is now twice the size of Texas, has plastic pieces outnumbering sea life 6 to 1. Poly bags, drinking straws, plastic cups, bottles, cutlery and plates are the major constituents of the plastic waste. Despite all its qualities the biggest drawback of plastic is that it does not decompose, and also temperature variations and friction can cause it to release toxic particles like Bisphenol or Pthalates into the environment. What will happen to nature and us with the garbage we produce at this pace? An alternative solution is Bio Plastic. Bio Plastics are similar to the first plastics made, as they are derived from bio degradable materials from renewable sources. But all bio plastics are not biodegradable. By biodegradable we mean substances that degrade within a relatively short period of time (within weeks or months). Those plastics that do not degrade within months or years are called durable plastics. Compostable plastics undergo biological decomposition in a compost site. They break down into carbon dioxide and water and leave no toxic residue similar to leaves and fruit and vegetable peels. Corn and Sugar cane are two of the most popular ingredients of bioplastics. The absence of bisphenol A (BPA), which is capable of affecting hormones, in bioplastics is making it very popular in the food storage and baby feeding/accessories industry. We should also be aware that the European Union has banned the use of BPA in baby bottles. Bio plastics in appearance are extremely similar to petroleum based plastics and it is hard for the discerning eye to distinguish between the two. Bioplastics is a fairly new industry and there are very few players in this field. India with all the potential for raw materials and big market has hardly a few bioplastic manufacturers. EnviGreen is an Indian company manufacturing bio degradable products. They make bags out of potato, tapioca corn, natural starch, vegetable oil, banana and flower oil. These bags look and feel exactly like poly bags. The difference is that an Envigreen bag takes one day to dissolve in a glass of water at room temperature and 15 seconds in a glass of boiling water. If discarded in the open, it naturally biodegrades in less than 180 days. No chemicals are used in its manufacture and even the paint for printing are natural and organic. An Envigreen bag costs 35% more than plastic bags and 500% less than a cloth bag of the same size. (Karnataka State Pollution Control Board) has approved these bags. And the central institute of Plastic Engineering and Sriram Institute for industrial research have tested these bags. Other products by Envigreen are Trash bags, oil and grease sachets, Bin liners, packaging films, aprons, wrapping covers, laundry bags and customised products. Plastic drinking water bottles are another major category of contributors to plastic pollution in the environment. Mitticool and Livegreen India provide clay alternatives for plastic water bottles. Mitticool has 1 liter mud bottles. Apah clay bottles with a capacity of 0.75 liters, have spill proof water tight lids. Food grade rubber and clay are used in the manufacture of the bottle and the water tight lid is made of silicone. Although mineral water is provided in 100% biodegradable transparent bio plastic bottles by Green Planet, bio plastic water bottles are not made in India at the moment. Environmentally Friendly Dental Hygiene: Tooth brushes also constitute a sizeable portion of the plastic waste that suffocate our planet. Bamboo India has made available bamboo tooth brushes in two sizes. Adults and kids. The bristles of these brushes are BPA free and are made of Nylon 4, bamboo fibre or corn fibre. Last but not least are the disposable cutlery, straws and table ware that constitute the plastic pollutants. Some of the other environmentally friendly alternatives include edible cutlery, biodegradable tableware and paper straws. The edible cutlery made by Bakey's cutlery are baked in moulds with a dough made from sorghum, rice and wheat flour. Their most popular product is the spoon which is packed in chemical free paper pouches. The spoons are available in three flavours, plain, sweet and savoury. Restaurants in India have started serving beverages without drinking straws. Make a point of refusing plastic straws in restaurants and educating people about how these straws end up in the bellies of sea creatures as they do not biodegrade for hundreds of years. In most cases these straws serve no useful purpose if the beverage container is clean. For those who prefer straws there are bamboo, paper and steel alternatives. Hopefully in the future with more people will be mindful of the environment and act proactively to prevent pollution. This article was based on an article that CitizenzNews commissioned Ms Jomy Jolly to do. It was subsequently edited and re-written by Pravin J Philip Arapurakal.